Matcha mornings just got a whole lot better! 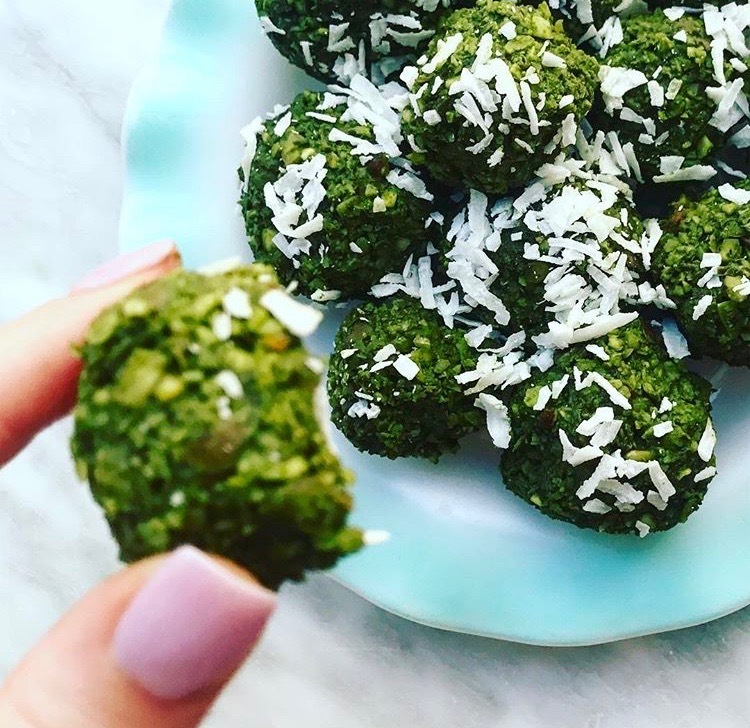 These matcha balls were inspired by www.paleogrubs.com and totally hit the spot when I’m looking for an energizing snack to lead a productive day. They balance as a perfect sweet and nutty treat filled with healthy fats, protein and my all time favorite ingredient when a little extra brainpower is needed: Matcha. It helps enhances alertness and energy while also giving a calming effect (L-theanine for the win). These are so easy to make! It contains only 8 ingredients and no added sugar. Plus these are great to make ahead of time with your meal prep since they stay fresh a full week in the fridge. Blend all ingredients in food processor and take heaped teaspoons of mixture and shape into balls.